The cacao tree is thought to have originated in the northern region of South America in an area now covered by parts of Colombia and Ecuador close to the upper waters of the Napo, Putumaya and Caqueta rivers. Chocolate is made from the seeds of the fruit of the Theobroma cacao tree. When the Americas were first explored by travellers from Europe, cacao trees were found throughout Mesoamerica (as far north as modern Mexico) and northern South America. 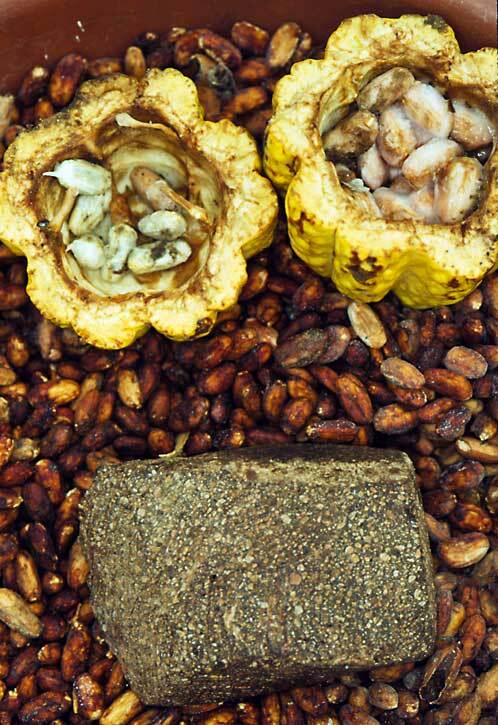 Human activity is believed to have been involved in the movement of cacao across this range. The large genetic diversity of the plants observed in South America and the smaller amount of diversity seen in the Mesoamerican populations suggests that cacao trees originated in the south and travelled north and not the other way around. This is a phenomenon known as ‘the founder effect’ where the particular genetic characteristics of the subset of trees transplanted to a separate location gives the new population a distinct phenotypic character from the original population. The genus Theobroma has 20 species and the closely related genus Herrania has 17 species. 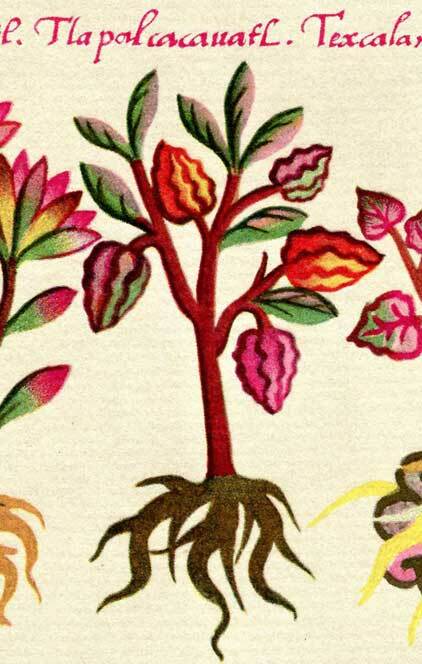 These trees provided sweet fruit that was eaten and in some cases, highly sought after. 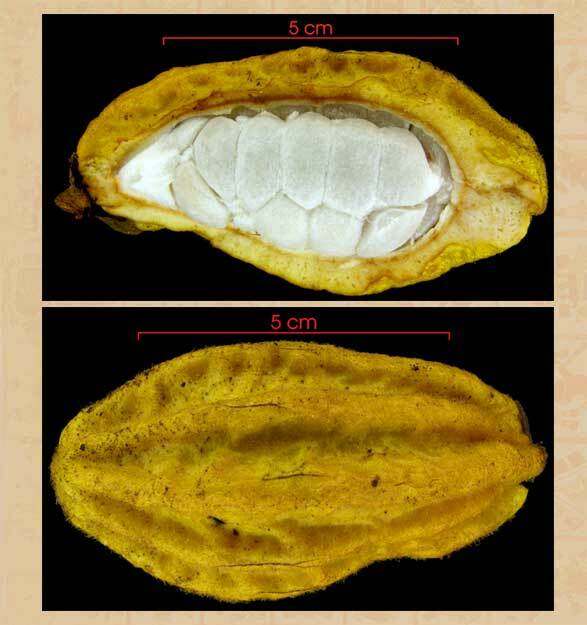 However, of these 37 species closely related to cacao, only the roasted seeds of the Jaguar cacao (Theobroma bicolor) were eaten regularly in ancient Amazonia. There is no documented chocolate production in South America before the late 16th Century which is when commercial cacao cultivation was established. Cacao fruit has been eaten in South America since prehistory and today can be found in almost every juice and smoothie shop in Brazil. The traditional ways of consuming cacao were to eat the fresh fruit, to ferment the fruit to make an alcoholic drink, or to use the alcoholic drink to make a vinegar. It was only in Mesoamerica that a history of fermenting, roasting and grinding the cacao seeds (rather than the fruit) to make drinks was found. Today in Panama, the Guna people of San Blas island drink a cacao beverage made with added sugar and water. Sometimes bananas or corn are added to the drink. Elsewhere in Panama, cacao seeds are also mixed with plantain, cornmeal or rice flour to make drinks. There are five major ways in which cacao and its related species have been used as medicines throughout Mesoamerica and northern South America. They can be used as stimulants or treatments for fatigue, for weight gain, as emollients (for softening or soothing dry or damaged skin), antiseptic (killing microbes around bites or wounds), and in certain species, as part of a snake bite remedy. Medicinal uses (which have been backed up by modern analyses) suggest that the native peoples possessed a great understanding of their natural resources. Consumption of cacao produces stimulatory effects and so was used to treat fatigue. In addition, the high cocoa butter content of the seeds aided in weight gain for people suffering from consumption or emaciation a practise used in Nahua, Mexico, but the effects would not be seen immediately. This shows an understanding of the long term effects of eating rich food stuffs. Moreover, the use of cacao decoctions in the Dominican Republic to treat weakness can be attributed to either its stimulant properties, its energy-rich properties, or more likely both factors combined. Cacao has been used to treat various ailments from cracked lips and coughs to irritations of the scalp and other sensitive areas of the body. Although, cacao has a very low content of compounds known to soothe the skin (emollients), it does contain a number of compounds that might treat localised inflammation or infection. So far twelve compounds have been identified that act as pain killers (analgesics) and two that can produce a loss of sensation (anaesthetics). In addition, there are 14 compounds that can kill or inhibit the growth of microbes (antiseptics) and another that has antibacterial properties (antibiotics). Further study is needed to better understand how these compounds interact and how traditional processing and medicinal techniques. 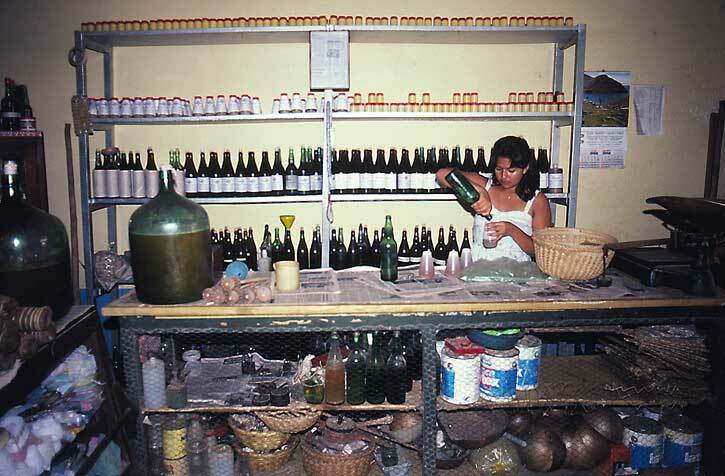 The peoples of Ecuador and Colombia used certain Herrania species as snakebite remedies. The consistency of the species involved across different cultures suggests that there may be some merit in these remedies. Additionally, it has been found that Theobroma cacao contains 26 anti-inflammatories (to reduce the swollen bite), an astringent (to absorb or extract the toxins), 5 known vasoconstrictors (to narrow blood vessels) as well as the antiseptic properties outlined above. All of these properties would be useful in a potential snakebite remedy. Since Theobroma and Herrania are closely related, it is reasonable to assume that the Herrania species used for snakebite treatments were effective remedies. Further scientific studies are needed to verify this theory. Cacao seeds have also been used for other purposes. They were sometimes burned as part of funeral rites and puberty rites (Panama). 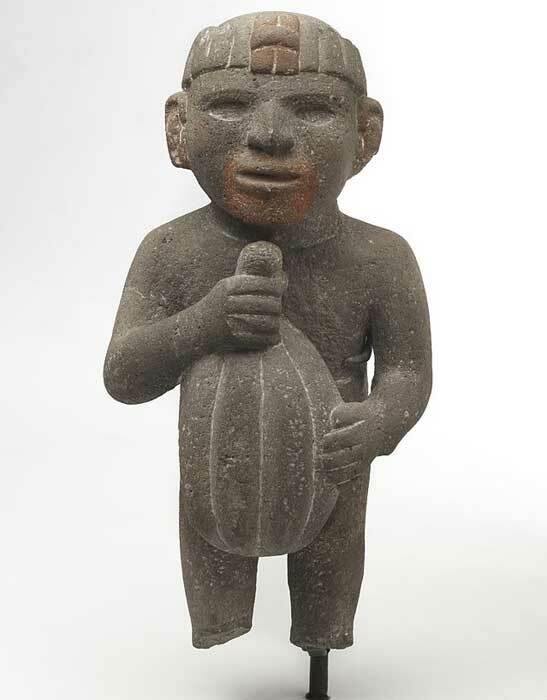 The cacao pod (which contains the seeds and flesh of the fruit) was used as a cup or container and wood from the cacao tree is used for carving and as firewood (across South America). 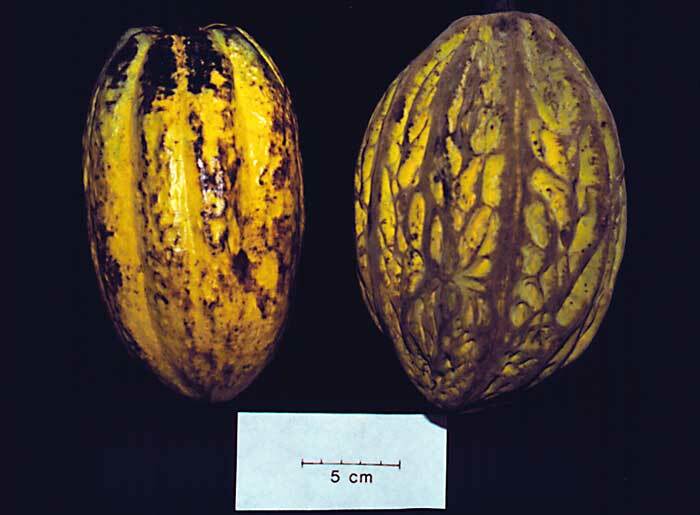 • Pic 7: Photo from Wikipedia (Chocolate). Original in the Brooklyn Museum.